Toyota and Honda remained Japan’s best-selling car brands during the first nine months of 2015. The Aqua was again the favorite car model. Year-to-date 2015, the Japanese new vehicle market shrunk by 9.5% with most of the largest car manufacturing selling fewer cars in 2015 than in 2014. Mercedes Benz replaced Volkswagen as the strongest car importer into Japan. New vehicle registrations in Japan during the first nine months of 2015 were down by 9.5% to 3,908,150 vehicles, including passenger cars, trucks and buses. In 2015, Japanese new car sales were lower all year after figures were distorted in 2014 due to an increase in sales tax on April 1, 2014. This led many buyers to bringing purchases forward and a very strong first quarter in 2014. Although figures started to even out as 2015 progresses, the Japanese car market remained weak despite the launch of new car models. There were only very minor changes in the rank order of the top-selling car brands in Japan during the first three quarters of 2015 compared to a year ago. The nine best-selling car marques remained unchanged. Mercedes Benz is a new entry at tenth place at the expense of Volkswagen. Toyota easily remained the strongest vehicle manufacturer in Japan. Although sales were 7% weaker than a year ago, Toyota gained some market share. Honda, Suzuki Nissan and Daihatsu all maintained their relative rank positions but all had much weaker sales compared to a year ago. 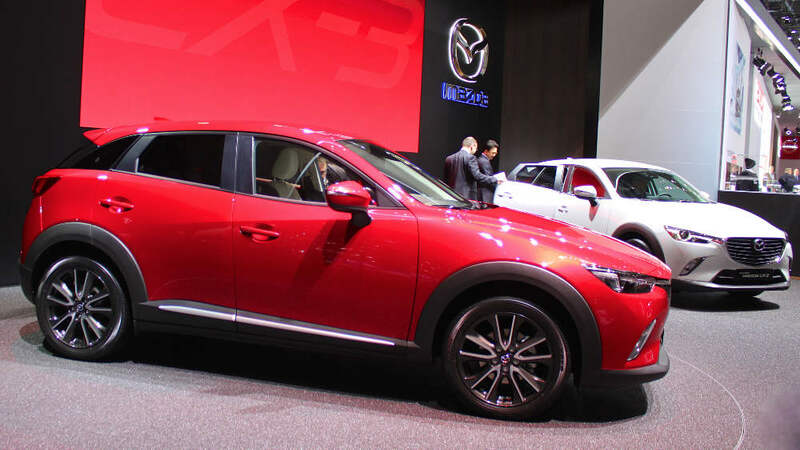 In contrast, Mazda sales improved by a strong 17% – the best performance by any Japanese brand thus far in 2015. Subaru sales were weaker but better than the market average. Mitsubishi sales were down by a fifth – the worst performer of the top-twenty brands. Commercial vehicle manufacturer Isuzu had slightly stronger sales. Most of the smaller manufacturers had stronger sales but the unit numbers are small with relative little influence on the performance of the total Japanese new car market. Mercedes Benz moved into the top-ten and replaced Volkswagen as Japan’s favorite imported car brand. VW slipped two places to twelfth with sales weak even before the emission scandal broke at the end of September 2015. In Japan, a loss in prestige may be the biggest damage for VW, as its diesel cars are not sold on the Japanese market. Lexus again moved ahead of BMW while Mini was the most improved of the top twenty best-selling car brands in Japan thus far this year. Of manufacturers selling more than 2,000 cars this year, only Porsche performed better. New models always have a strong impact on sales in Japan. The figures do not include Kei (mini) cars. However, the Aqua remained the top-selling car but the rest of the top-ten list would look quite different if these popular small cars models were included.